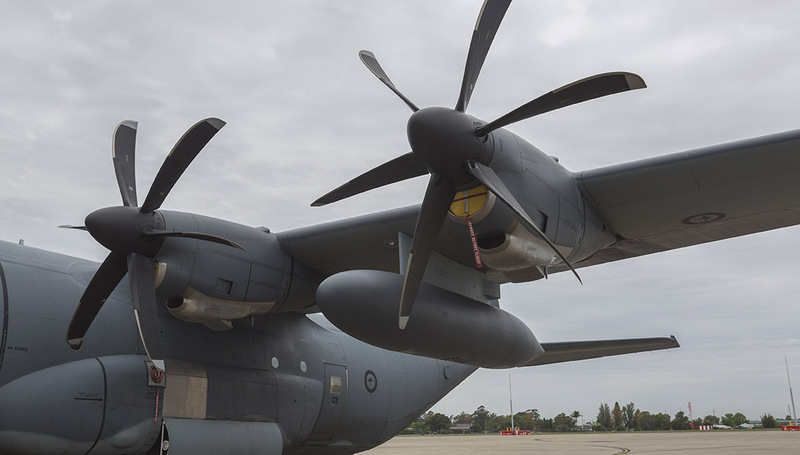 The RAAF’s C-130J Hercules could have more range, more time on station for missions such as search and rescue and more fuel offload capacity at forward bases thanks to new external fuel tanks. 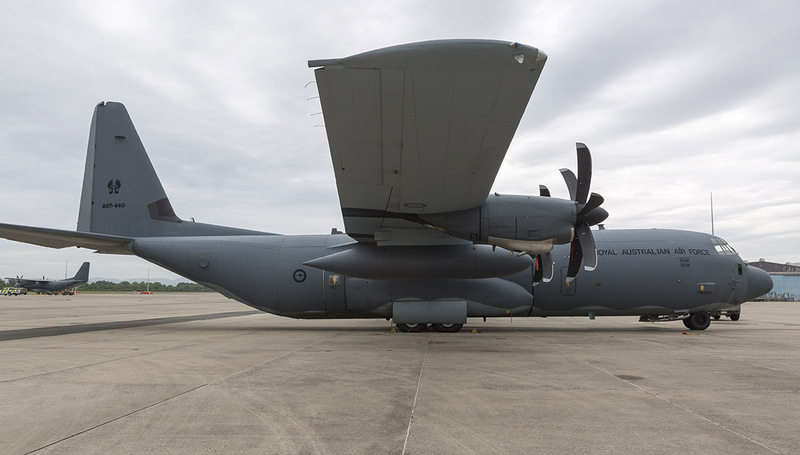 External fuel tanks were carried on the RAAF’s older, much less fuel-efficient C-130E and C-130H model Hercules, which were retired in 1999 and 2012 respectively, but were not considered a requirement for the newer C-130J due to its much more powerful and fuel-efficient Rolls-Royce AE2100 engines. 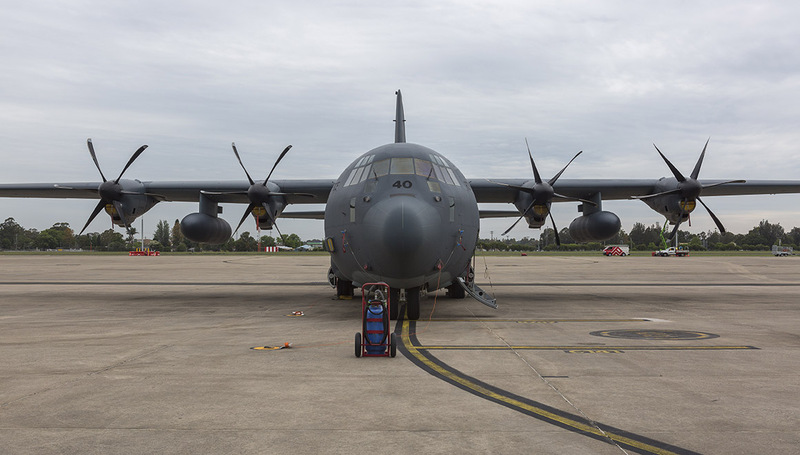 But with a growing requirement to refuel ADF and coalition vehicles and helicopters on the ground at forward bases direct from tactical transport aircraft, two C-130Js are being fitted with new external tanks, which have four tonnes of fuel capacity each, dramatically increasing the amount of fuel the aircraft could offload without compromising its own reserves. “Extra fuel is useful during forward arming and refuelling point (FARP) operations, where the crew land and offload fuel to another aircraft, vehicle or storage tank,” Commander Air Mobility Group AIRCDRE William Kourelakos said. The first C-130J fitted with external tanks will be deployed to Guam for the joint Operation Christmas Drop exercise conducted with US forces where food, clothing and toys are delivered to outlying communities in the Marshall Islands. “Some of these missions are to islands more than 2,000 kilometres from Guam, where there’s very limited options to divert in the event of an emergency,” AIRCDRE Kourelakos said. Now for some air-air refuelling kit.. Does that mean that some allied ground vehicles use the same fuel as the turboshaft engines in the Hercs (presumably some sort of Avtur)? Or will there be an option for the external tanks to hold a different type of fuel? The concept of operations is that the C130 would offload internal fuel (AVTUR) for use by other aircraft, in particular army helicopters, at a forward area where there are no other facilities available. This is especially relevant in a denied airfield scenario where a special forces group would secure the airfield, and then a larger group of army personnel would follow up with helicopter support. Those helicopters would need most of their fuel just to get to the airfield, so the ability to hot refuel on arrival and go straight into action is of great operational value. Per ‘Wayne Comment, ‘ now for some sort of air – air refuelling kit ? Wayne and Tony I totally agree however we should be equipping our Special Forces kitted MRH-90s with air to air refueling booms and air to air refueling kits for the C-130Js. This would bring a greater capability to the SAS, Commandos etc allowing our forces to deploy even further without having to stop for fuel. Furthermore, I’m very very surprised no V-22 Osprey order has even been considered especially for our special forces. Cost, Corey is the problem for the V-22 you are probably looking at $6-8B for a Sqn of V-22. They are not cheap to Raise, Train, Sustain a capability. I would love to see this implemented into the C-27j, give the little girl some legs along with an a inflight refuelling kit.